With two significant years of real estate transactions just gone, investors will now be looking for robust returns, in most cases through hotel asset managers who know the business inside out. As such, due diligence ahead of acquisitions; brand options; brand comparison studies; and independent business reviews have been popular areas of work for M&T during this period. We see 2017 as a continued busy year for hotel asset management and consultancy, where owners will be looking to optimise performance of their assets in an uncertain economic environment like the one we are currently facing in the UK. With this in mind, redirecting business strategy; looking at how idle space can be turned into a money-making area; or enhancing internal procedures are all areas of consultancy that M&T provide. This year will also see the launch of an “On Demand” service into the market. This service will utilise M&T’s specialist tools, training and the all-encompassing Commercial Health Check will be taken to market. 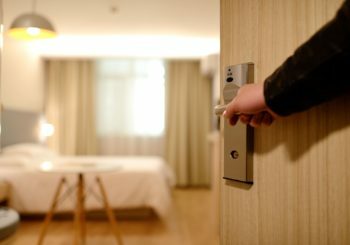 Hotel asset management, in the truest sense of the word, is typically in less demand during periods of growth and stability. In line with this, we find our clients are currently looking for more advisory & consultancy fulfilment for shorter-term projects. However, having said that, in line with cyclical economic trends, we’re expecting an upturn in demand for the real ‘nuts & bolts’ asset management again towards the latter part of 2017 and into 2018, when owners and investors start to challenge and question the management of their hotels & resorts with more scrutiny. It is also worth noting that with all sectors of the industry remaining active in terms of hotel pipeline, feasibility work is in high demand at present, not just across the UK but Europe-wide. So, that’s how the world of hotel asset management is shaping up for 2017. If you have any questions or need some further advice, then do not hesitate to get in touch with our expert asset management team on 020 8905 2500, or email us at info@michelsandtaylor.com.